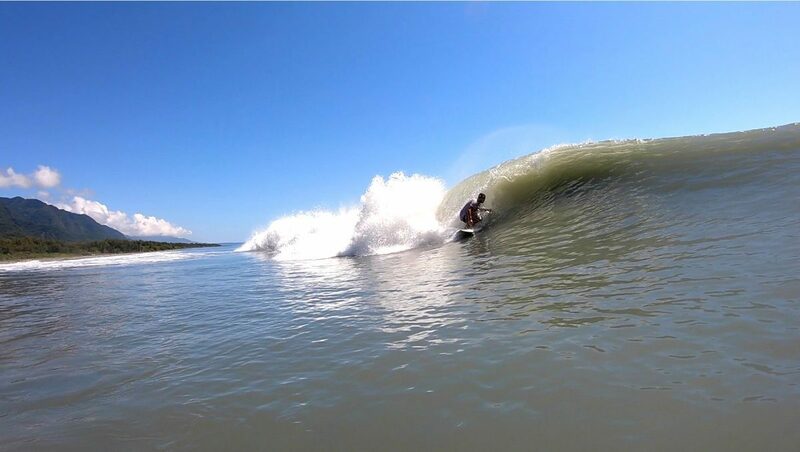 THE SUMMER THAT NEVER ENDS. It’s official: summer doesn’t end. 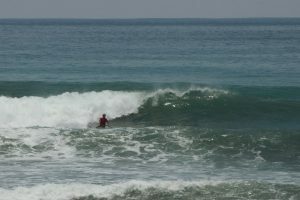 At least not here in Dulan, where we were are battling to sleep under fans, sweating when we surf, and no-one has touched a wetsuit in months (since last winter in fact). 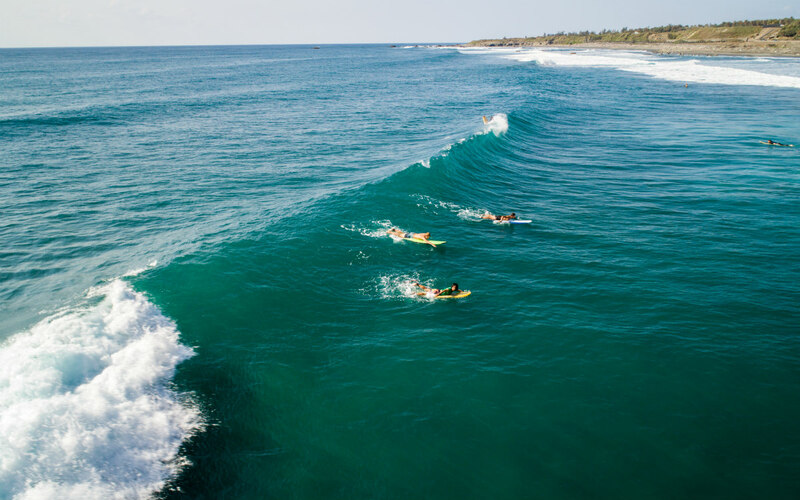 Call it global warming or El Nino Effect or whatever you want, but for those of us who like it warm it’s been a good year. 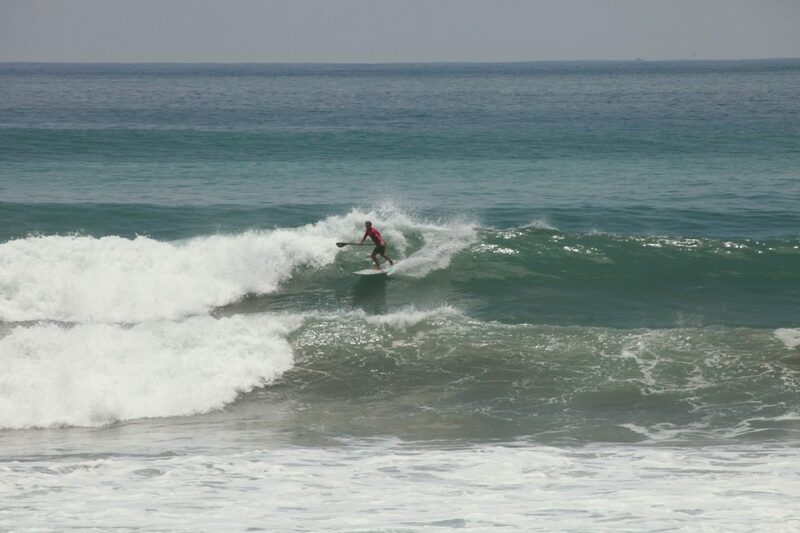 And here at WGLG we have been making the most of it. 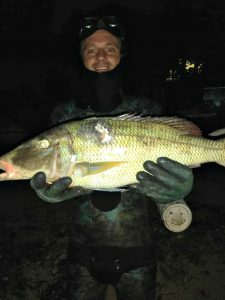 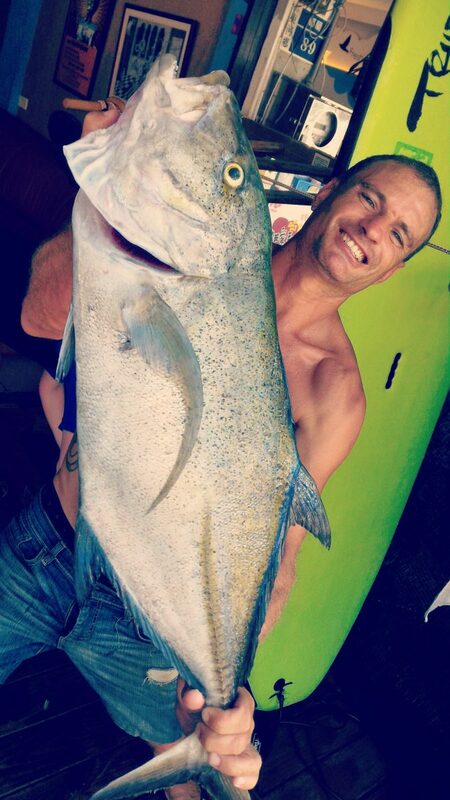 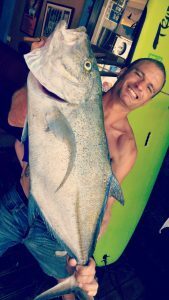 The flat start of summer started with some great fishing conditions, with Mark landing several giant trevallies, including his personal record 22.7 kg, freediving at 15m in his backyard. The fight lasted 30 minutes or so before the monster gave up the ghost. 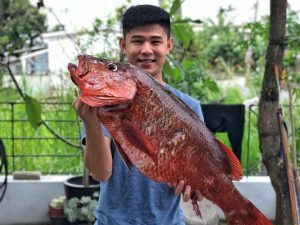 In July we hopped over to the Comotes Islands in the Philippines for some serious spearfishing and got some decent fish, including this long-nosed emperor below. 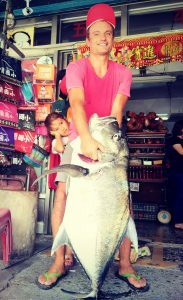 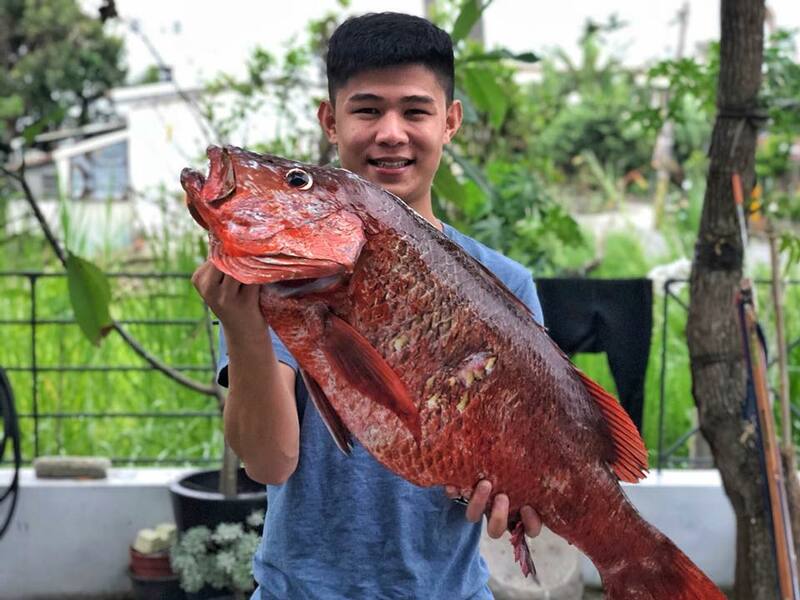 The Taitung Sea Hunter crew has been (literally) killing it this summer, with Mark Chu landing his personal record snapper! 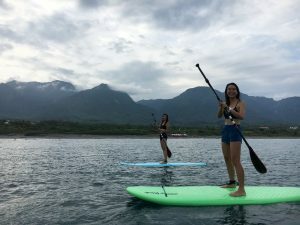 Taitung is a great place for freediving and fishing. 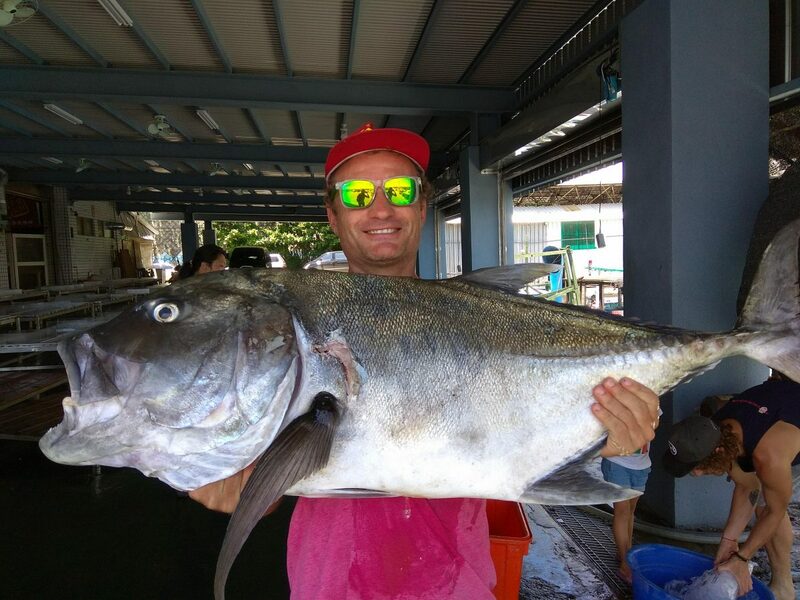 And with Green Island only 45 minutes away by ferry it’s the perfect place for diving/fishing enthusiasts. 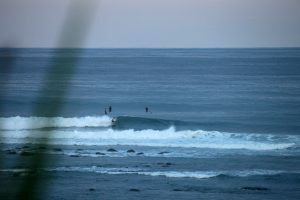 In July the first good surfable typhoon swell hit and sent us some gifts. 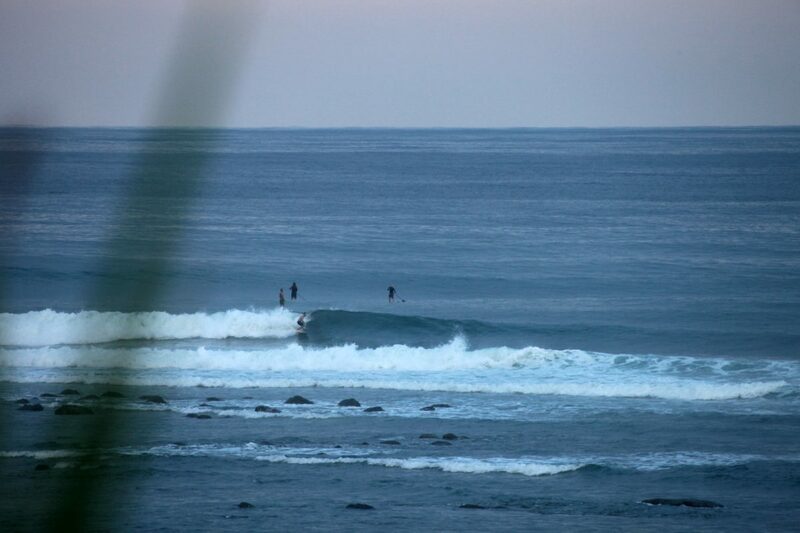 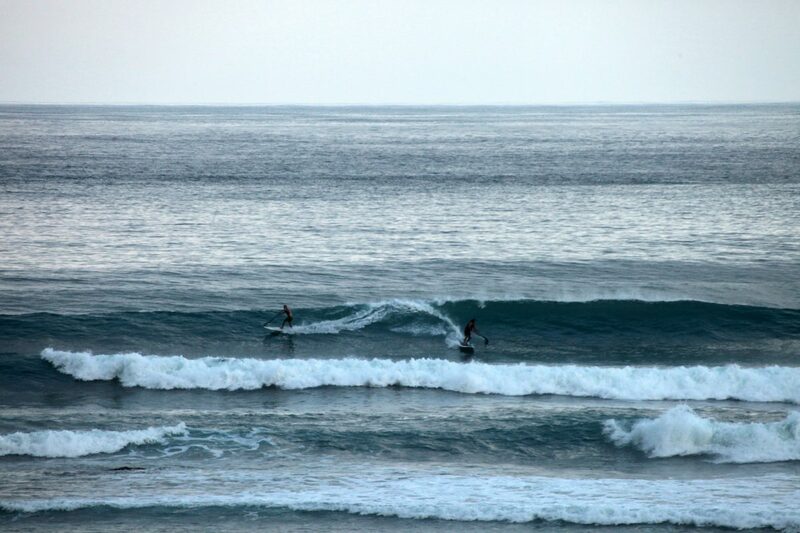 We had some amazing stand up paddle sessions at totally empty spots, some days with only 3 guys out. 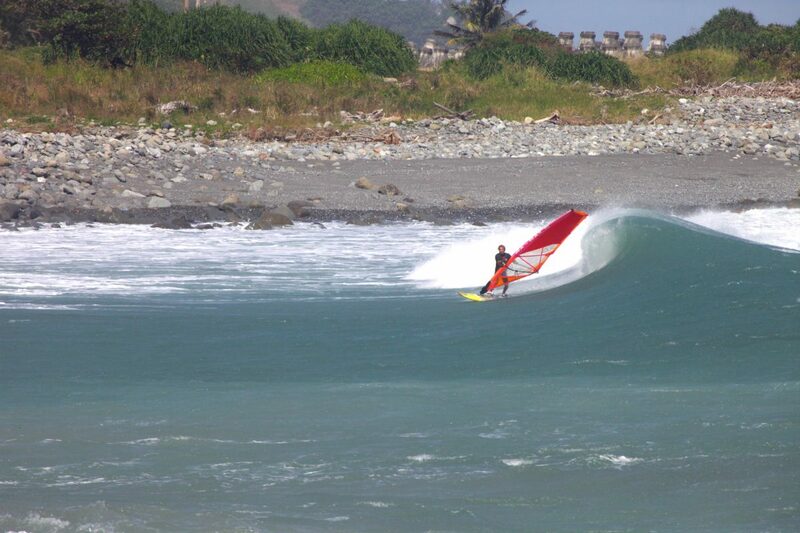 Supping the typhoon swell with WaGaLiGong. 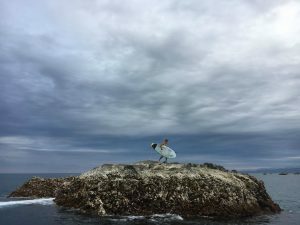 WGLG Dulan Surf Camp rocked the summer with its summer camps. Folks from Taiwan and all over the world joined our lessons and camps. 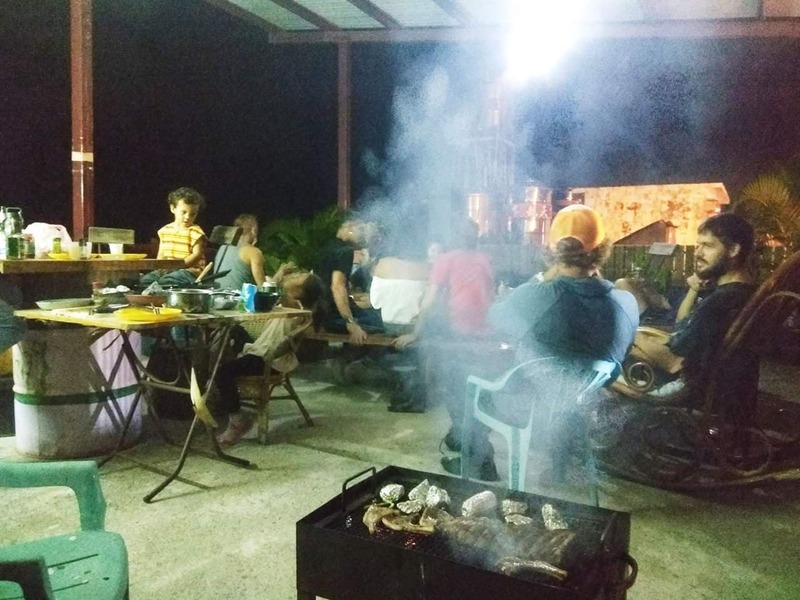 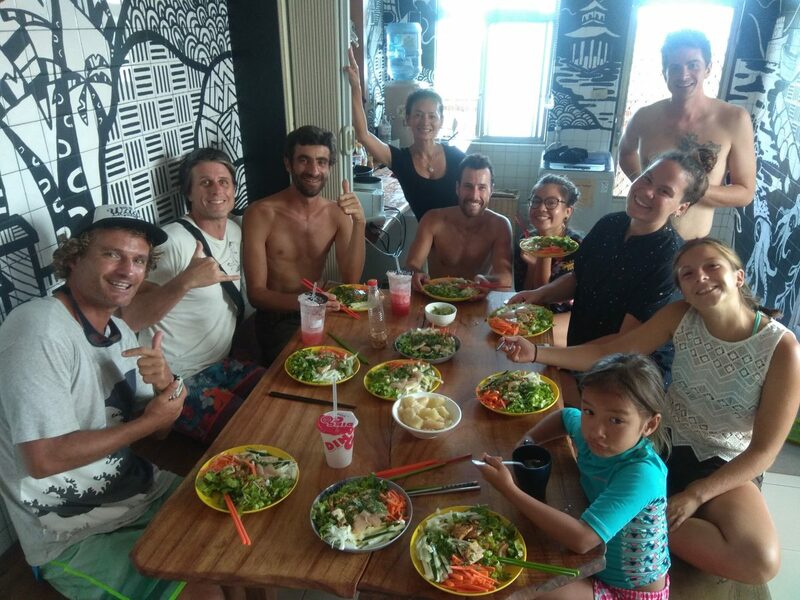 Between surfs, students enjoyed the rooftop chillax area, cooked loads of healthy meals in our common area kitchen, or joined us for a BBQ on our rooftop. On small summer days there really isn’t a better place to learn surfing and WGLG is your base of operations! 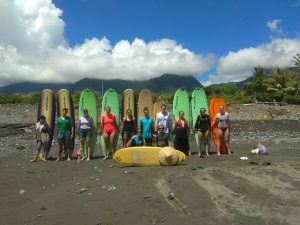 WGLG Surf Camp - surf lessons. 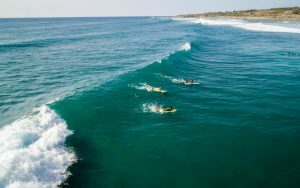 Dulan Beach from above - surf lessons with WaGaLiGong . WaGaLIGong Dulan Surf Camp refueling station. Hands down the best rooftoop in Dulan. 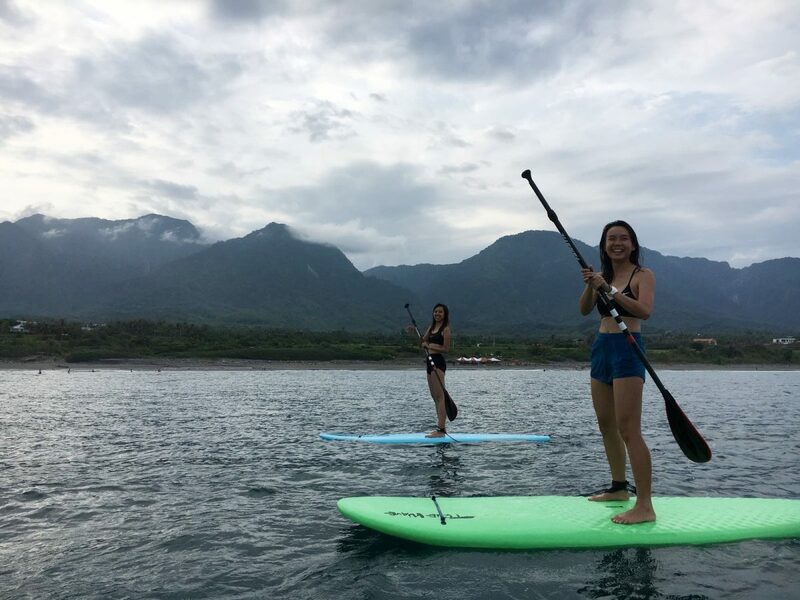 On flat days, WaGaLiGong took guests out exploring the surrounding bays and coves. Being able to explore Dulan from the ocean really is a luxury and gives us a fresh and unique perspective. Having paddled these parts for years, Yong-yi and Mark know exactly where to take people depending on their level. 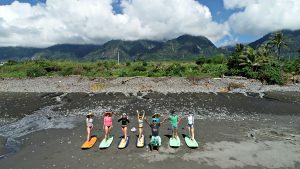 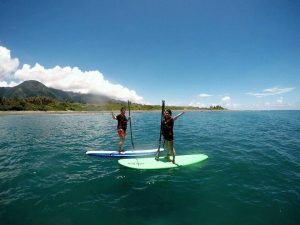 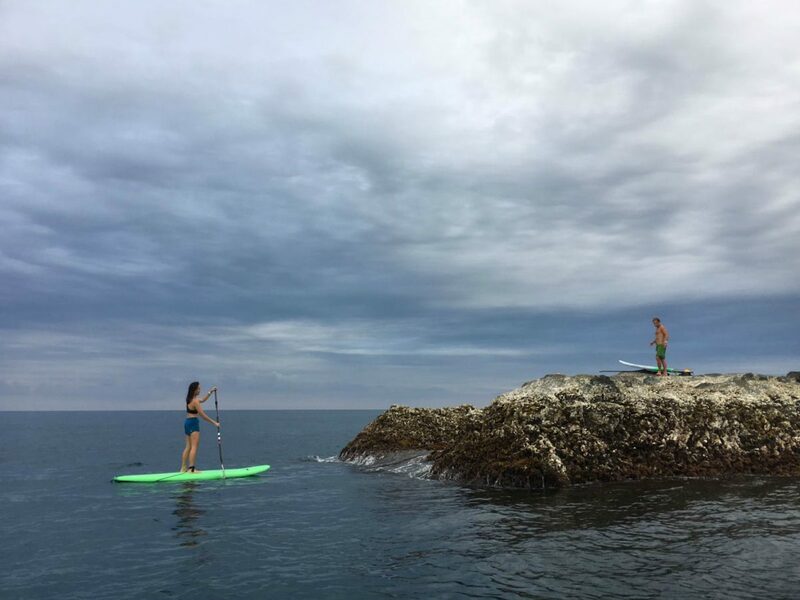 Stand-Up-Paddle tour with WGLG Dulan Surf Camp. 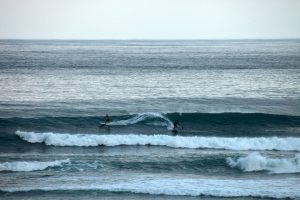 In October, the monsoons finally began. 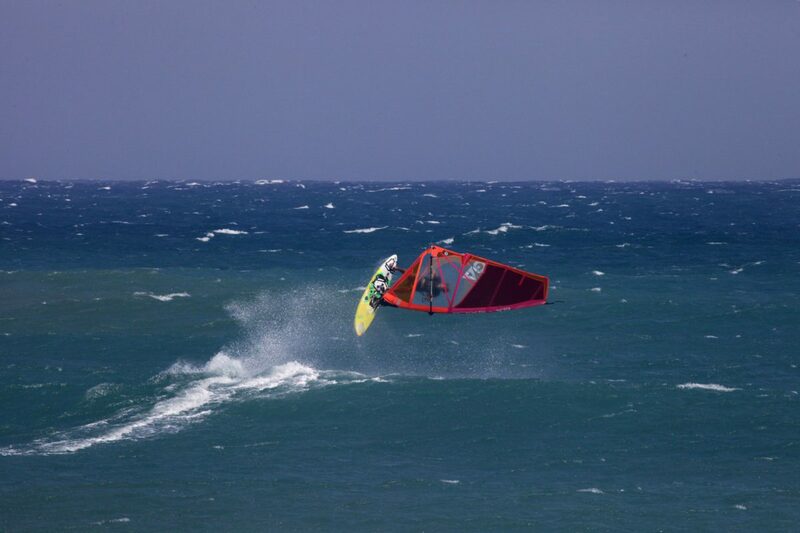 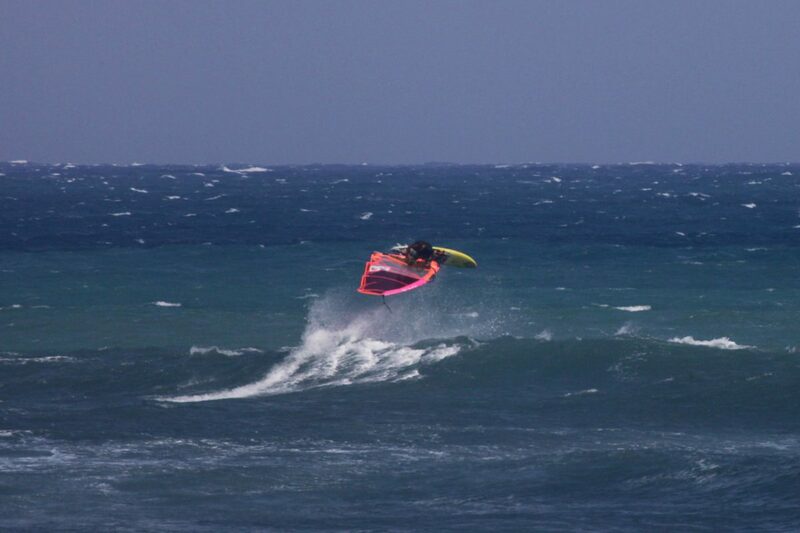 WGLG managed to sneak in some epic windsurfing sessions. 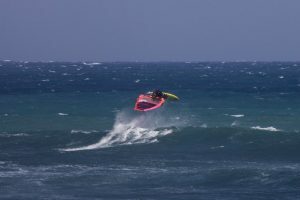 One notable was a typhoon swell with strong wind that prompted our friends Olympic windsurfer Howard Chang and Swiss windsurfer Gianni Seghizzi to rush over from Penghu and Switzerland respectively. 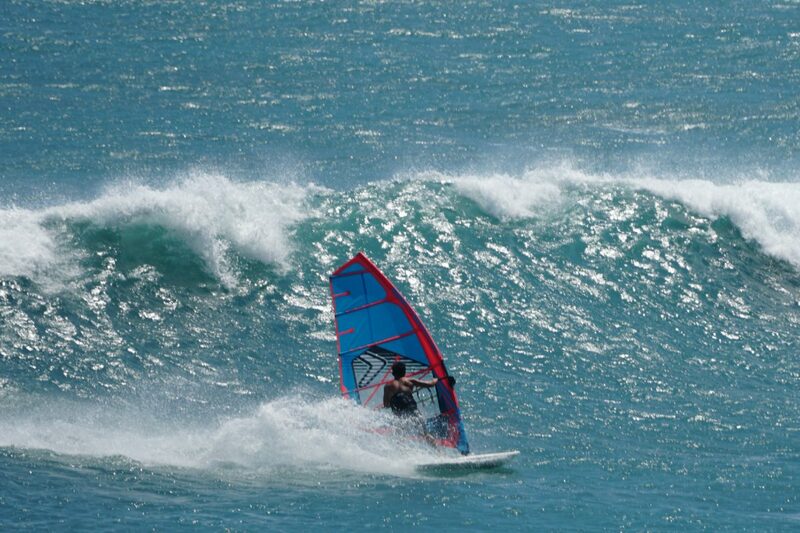 Great sessions so far this year (check out the video below). 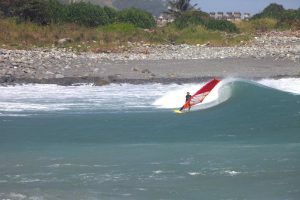 The 2018 Taitung Wave Classic officially started last week (November 9th) and will run through to December 9th, ending in Jinzun with the Taiwan Open of Surfing. We are still waiting for wind, and the forecast looks good for the end of this week.